Doesn’t it just piss you off when you spend so much time practicing guitar but you don’t really seem to be getting much better? Or worse, you practice guitar on Monday, but then on Tuesday it seems you can’t play as well as the day before! ... Do you ever wonder why other people who have no more natural talent than you, no better potential than you and who practice no more time than you do are still improving faster than you? Are you sometimes feeling overwhelmed, or worse, BORED from practicing? These things made me mad when this was happening to me in the past. Keep making lots of damaging mistakes in your guitar practicing (most of these you are probably totally unaware of) that are responsible for all (or at least most) of the reasons you are not improving as a guitar player as fast, as easy and as consistently as you should be. I’ve suffered from all of these problems in the past… and I know how frustrating it can be to deal with and how hard it can be to overcome when you don’t know how to turn things around. They think if they simply practice more, they will become great guitar players. Truth is, it’s the quality, not the quantity of guitar practice that matters most. They don’t know how to get better every single time they practice guitar. Instead of every practice session feeling like an inspiring, forward-moving step towards a larger goal, their practicing feels more like a desperate attempt to hold their head above water to keep themselves from drowning. They blame their own lack of progress (or very slow progress) on everything else except the true cause, because they simply aren’t fully aware of why they aren’t getting anywhere. This causes most guitarists to search for answers to their guitar playing challenges in the wrong places, often making their problems WORSE, instead of better. They practice guitar mindlessly. Most people think that practicing guitar is something they do on a “physical” level only (with their fingers). Their mind is either completely disconnected from the process or is focused on the WRONG things. Fact is, focusing on the wrong things while practicing is just as bad as not being focused at all. This is exactly how most guitarists end up with crippling guitar technique habits that prevent them from playing guitar really well and why so many others keep practicing guitar for decades, never making REAL progress. Unfortunately, great guitarists often do not know themselves how to train others (in complete detail) to do what they do, and think like they think while practicing... And even if they could, there is so much more to cover about this topic than you could ever hope to learn in a short magazine column, an interview or even a 4-hour guitar clinic or instructional DVD. 2. Give up playing guitar completely. Either way, the result is sad. I’ve been where you are now – passionate about guitar playing & wanting, wishing and hoping to become an excellent guitarist that everyone admires… but right now, you’re struggling, frustrated and improving slower than you want. That’s why I created the Rapid Fire Guitar Practice Training program where I will be your personal guitar practice trainer, guiding you through every minute of your practice time. No more wasted practice time. No more guessing what, how, or how long to practice each item. No more inefficient, inept or ineffective practicing. No more uncertain, unbalanced, unfocused or untrained guitar playing. Learn how to get better faster… EVERY SINGLE TIME you practice your guitar. Fact is, most guitar players do not improve their guitar playing during each practice session, but from now on, you will… 100% of the time when you follow your training. How to make more progress than you ever thought possible in just 5-15 minutes of guitar practice per day. No, I’m not suggesting that practicing only 5-15 minutes every day is going to make you a great guitar player… I’m saying that I fully understand that there will be some days when you truly are crazy busy and might only be able to practice a few minutes. I will show you how to take just one cool exercise and in 5-15 minutes of laser-focused practice improve virtually ALL areas of your guitar playing with it. Discover what to do in every guitar practice session to make 3-10 times the amount of progress you do now. You do NOT need to practice 4, 3 or even 2 hours per day to become a great guitarist. What you need is to learn to maximize “results per minute” of your guitar practice time and you will get exponentially faster results for a fraction of the time spent practicing. I’ll walk you through the exact step-by-step process of doing so. Finally learn exactly what you should practice each day, even if you are drowning in a sea of guitar lessons, exercises, courses and videos on playing guitar that you don't know what to do with. I will show you the simple & easy way to quickly get organized no matter how many things you want or need to practice. Never again feel bored from practicing. If you feel bored when practicing, then you’re not practicing correctly… when you learn how to practice the right way, it’s almost impossible to not have fun. The most important tool for super effective guitar practice sessions and how to use it to its maximum potential. Use it, and you will make progress EVERY single time you practice guitar. Don’t use it, and you will practice for years, spinning your wheels but making no progress. Fix every bad habit and correct every damaging mistake in your guitar playing- some of them you might not yet be aware of, but we’ll find and eliminate them together so that they will not hold you back from being a great guitar player any longer! Solving just this one problem (once and for all) will give you huge breakthroughs in your playing in days (or weeks), instead of months or years. Overcome your technical limitations and problems on guitar that you just can’t overcome on your own. Every guitar playing limitation or problem has a specific cause. I’m an expert in quickly diagnosing, breaking down, isolating, attacking and eliminating every root cause of every problem or limitation you could possibly have. Most importantly, I know how to train you so that you and I together can get you to break through every limitation and problem you’ve been struggling with… even if you’ve been struggling with it for many years. Learn what you need to be thinking about as you practice – what you think about as you practice is a big key to making rapid improvement on the guitar. As you practice, I’ll be speaking to you… telling you what to focus on in each moment and when to change your focus through the process that ensures your greater success. How to speed pick on guitar effortlessly, accurately and cleanly at any speed you desire. Get all the most effective practice strategies, tactics, tricks and guitar technique shortcuts that lead to maximum guitar picking speed in the shortest amount of time. Best of all, you will NOT waste any time learning dozens of boring “picking exercises” - I will walk you through the process of applying all my speed picking training with the existing exercises you are already practicing. Discover the 6 principles that will make your fretting hand technique effortless, smooth and fluid. The correct way to master the fretting hand goes against all common sense… yet it’s so easy, that anyone can do it. I walk you through my step-by-step training process that WILL make your legato clean and fast, while keeping your fretting hand incredibly light and relaxed at the same time. Learn an awesome guitar practice drill that will make your rhythm guitar playing incredibly tight and accurate, while avoiding the all-too-common problem of the picking hand shoulder and arm tension. Plus learn to easily tell if your guitar playing is REALLY in time when you play (and how to fix it, if it’s not). Learn the super simple strength training drill that will make your picking super powerful and fast and will give you machine-gun-like articulation in 2 minutes of practice per day. You’ll NEVER find this in any magazine, video or book about guitar playing. How to ensure you improve your guitar playing from every single minute of your practice time… compare THAT to however you were practicing before today!! "The genius thing about this course is that Mike is sitting down and analyzing every single little problem that your technique might have and then showing you the right and wrong ways of practicing. This way, you can instantly see improvement in literally a few minutes. It’s like having somebody in the room pointing out all your mistakes. While you are practicing guitar, Mike is reminding you what to think and what to do. It (Rapid Fire Guitar Practice Training) is one thing that anybody needs to have in order to become a great player in a very short amount of time." "Mike’s Rapid Fire Guitar Practice Training is a perfect companion to your guitar lessons, because it is showing you exactly how to go about training the things that you are learning on guitar, in the very best ways possible. This is not like some eBook giving you a few general guitar practice tips and then sending you on your way. It’s like Mike is in the room right next to you as you practice your guitar playing, only it’s on your time, in your own home, whenever it is convenient for you. With Mike’s Rapid Fire Guitar Practice Training you are going to save time by being absolutely certain that you are practicing your guitar skills in the most efficient ways possible." "Guitar technique is only a means to an end - its prime goal is to become free and to express yourself fluently on the guitar. For you to become one with the music and express yourself fluently on the guitar, it would take one hell of a dedicated guitar teacher, to get you to focus on the right things at the right time. And that’s exactly what Mike has set up in this course. " Imagine how great you’re going to feel when you finally become the killer guitar player that everyone else is admiring instead of being the guy who wishes his guitar playing sounded like somebody else. I’ve been on both sides of the fence and I know you are going to love the higher level of respect, status and admiration as a musician that you’re going to start getting. You’ve heard the phrase: “perfect practice makes perfect”, right?... THIS PROGRAM IS YOUR PERFECT PRACTICE! Guitar Practice Wisdom - I will teach you all the insider secrets, strategies and shortcuts of super effective guitar practicing that all great guitar players use to develop their awesome skills. This part of your session will be in audio format, so you can listen to it anywhere (even offline/away from your computer) and review it as many times as you want. This will ensure that you ingrain these concepts into your mind and never, ever forget them. This part your session is usually 20-30 minutes in length. Bad Habit Guitar Technique Cures - In addition to teaching you powerful guitar practice strategies, I will coach you how to analyze your guitar technique for flaws and bad habits and fix them… even if you are not currently aware that you have bad habits. This is a separate part of your session (also taught in audio format) and is usually 20-25 minutes in length. Killer Guitar Technique Video Training – You will see video demonstrations of all the techniques and practice methods I explain in the session. I will demonstrate everything done both correctly AND incorrectly, so you understand what mistakes to avoid while practicing and leave zero room for guesswork and mistakes. These videos are usually between 10-20 minutes in length (each) and there are typically 2-3 videos per session. You will see the right way to practice specific techniques such as: super fast picking, flawless sweep picking, insane legato technique, string skipping, fluent position shifts, seamless chord changes, killer vibrato, and a lot more. Even if you already know how to do these techniques, you will be able to do them a lot better, faster, cleaner, consistently, flawlessly and fluently every single time! Perfect Practice Training (the most important part of each session!) – In these audio guitar practice training sessions, you perfect your guitar technique through perfect practicing. Here’s how it works: you will get an audio track with an assignment to practice and my instructions recorded on it (based on the concepts you learned in the session). As the track plays and you practice guitar, you will hear me speaking to you, guiding you through the process. Every few minutes I will tell you exactly what to pay attention to next, what to do, how to do it and when to do it. I’ll guide you every step of the way, so that your mind is always 100% focused on exactly what it needs to think about, pay attention to and listen for. This will ensure that perfect technique is being trained every second of your guitar practice time and no distractions are allowed. You will get several of these training segments per session (each one training you to practice a different aspect of your playing) and you can choose their duration, based on the amount of practice time you have. In this part of your training I will walk you through the process of mastering everything you learned in my explanations and demonstrations, so you can transform your guitar playing fast. All of the above is what you get in “1 session”, and every 4 weeks you will get a new session (with everything above). Bonus #1 – Guitar Progress Multipliers. (Use When Your Practice Time Is Most Limited.) – Learn never-before seen secrets on how to squeeze the last drop of results from each minute you practice. Bonus #2 – How To Permanently Eliminate Bad Habits In Your Guitar Playing So That You Can Get Better Faster – Whether you've played guitar for 1 month or for 30 years, you have 2 constant challenges in front of you: how to prevent bad habits from forming in your playing and/or how to fix bad guitar technique habits you currently have. In this master class you will learn a surefire guitar practice method to solve even the most deep-seated guitar playing problem and make your guitar playing feel easier (and better) than ever before. These bonuses are awesome, but you are going to miss out on them if you don’t act very soon because they are only available for free for a very limited time. Once that time expires, you simply won’t be able to get them for free anymore. How Many Sessions Are In This Course? Answer: The number of sessions is not fixed. I am constantly updating the course, making it better, creating new materials for it and adding more sessions. By starting Rapid Fire Guitar Practice Training, you are not obligating yourself to pay for a specific number of sessions. You simply continue for as long as you keep getting a whole lot more value from each session than what you invest into it. 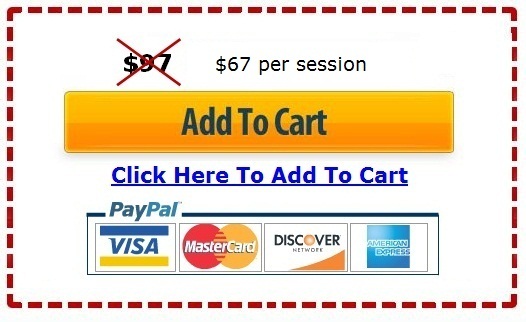 You pay for one session at a time and you can stop/cancel at any time (without paying any more money). This is no different than a gym membership or working with a personal trainer - you invest to train and get the big, transformational results you want, not to "receive an X number of sessions". Next, it's important to understand that Rapid Fire Guitar Practice Training is NOT guitar lessons, so you cannot compare its cost to the cost of private lessons (or online lessons/courses), because there is no way to compare them. This is TRAINING for how to get results when you practice guitar with any lessons, courses, practice materials, songs or guitar solos you are working on. So not only does it help you to make your guitar practicing highly effective and master your guitar technique, it also helps you to make faster and bigger progress with all the guitar lessons/practice materials you have. Do I Need To Spend More Time Practicing Guitar To Benefit From Rapid Fire Guitar Practice Training? Will This Work For My Skill Level? The only requirement is that you should not be a total beginner. In other words, if you truly know nothing about playing guitar at all and are just starting to play for the first time in your life, this course is not for you. Will This Work For My Style? Will This Work For Acoustic Guitar Playing? Answer: Yes, although I do not cover the topic of fingerpicking. Answer: Yes, canceling is easy and fast and there are no hidden fees. Will Rapid Fire Guitar Practice Training Be Customized To Suit My Guitar Playing Level? 1. You will practice the concepts I will train you to use with whatever exercises you are currently working on (at your own speed/level of difficulty). This means that everything you practice automatically becomes customized to your level. It also means you won't be bombarded with hundreds of new exercises to practice that may have nothing to do with the specific music you want to play (and may be inappropriate for your skill level). 2. Every single concept in my course can be used at any skill level to make you a much better guitarist than you are right now (this is what I will train you to do). It's not like guitar lessons, where you may understand some aspect of music theory (for example) and not need to learn it again. 3. I will be giving you specific instructions on how to make each training session much harder or a lot easier (or anywhere in between). This will ensure that every concept you work on is tailored specifically to your skill level. Scroll down and click on the big orange button that says “Add To Cart”. As soon as you do this and follow the fast and easy steps that follow, you will get instant access to your first training session modules and all the bonuses. Very soon after, I will personally email you about our first guitar practice training session. So, get started right now. Click on the orange button below - our credit card payment process is secure. P.S. If you hesitate to begin your Rapid Fire Guitar Practice Training today, you’ll be stuck with all the same problems you have been struggling with for a long time… nothing will change and you’ll continue to be frustrated with your limitations. The definition of insanity is doing the same thing over and over and expecting a different result... So do something different! Begin your training right now, click here to get started. P.P.S. You’re going to have me as your personal guitar practice trainer, guiding you through every minute of your practice time. Together, we’ll turbo charge your guitar practicing forever so that you improve EVERY SINGLE TIME you practice your guitar! Don’t just sit there! Click here right now to get started.